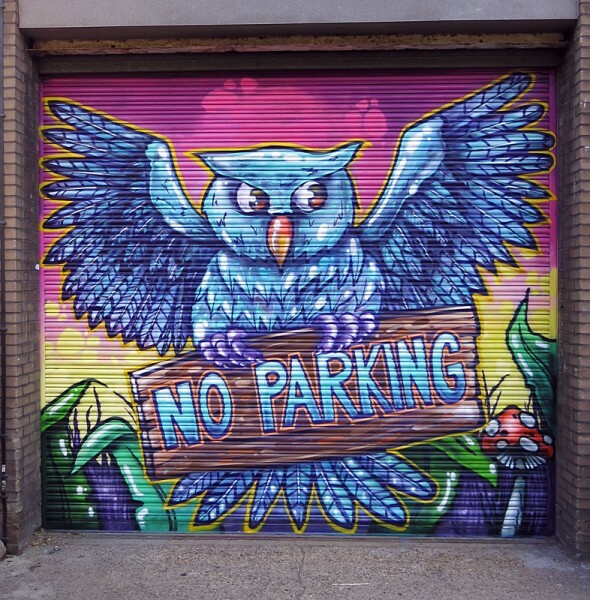 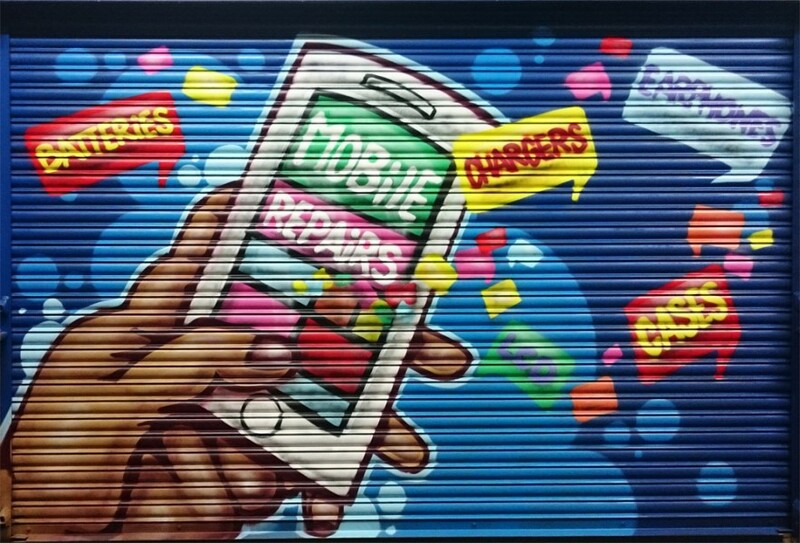 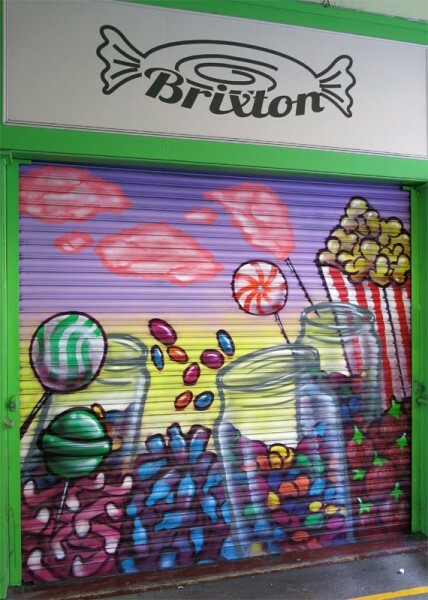 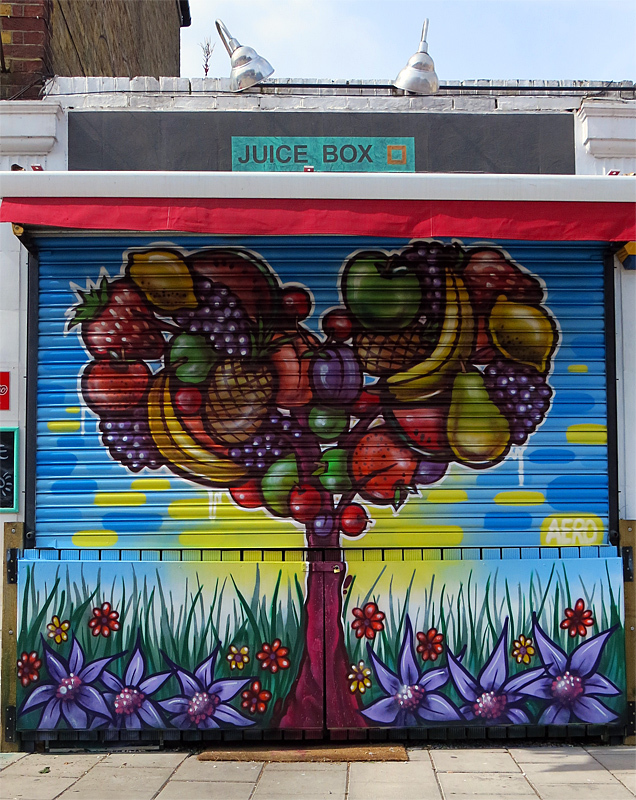 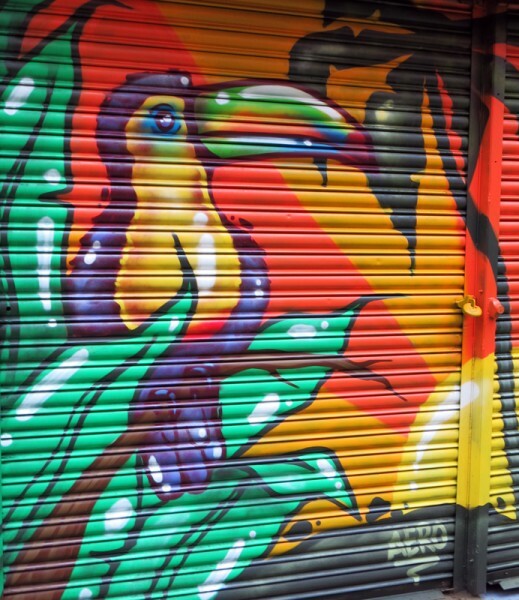 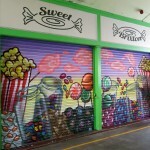 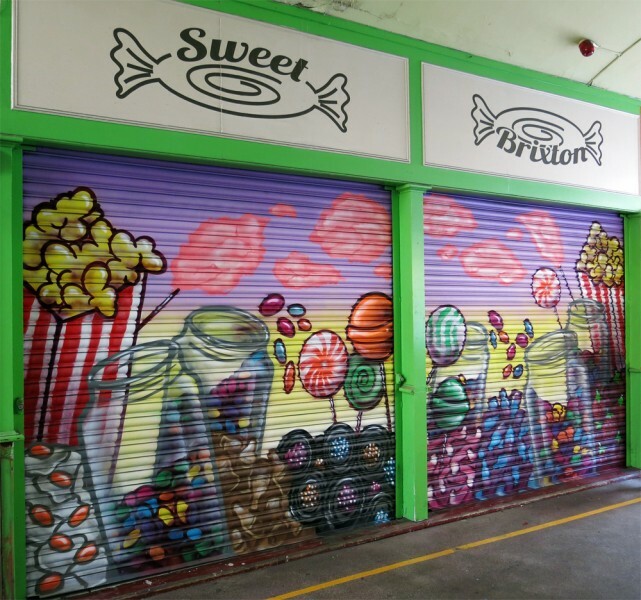 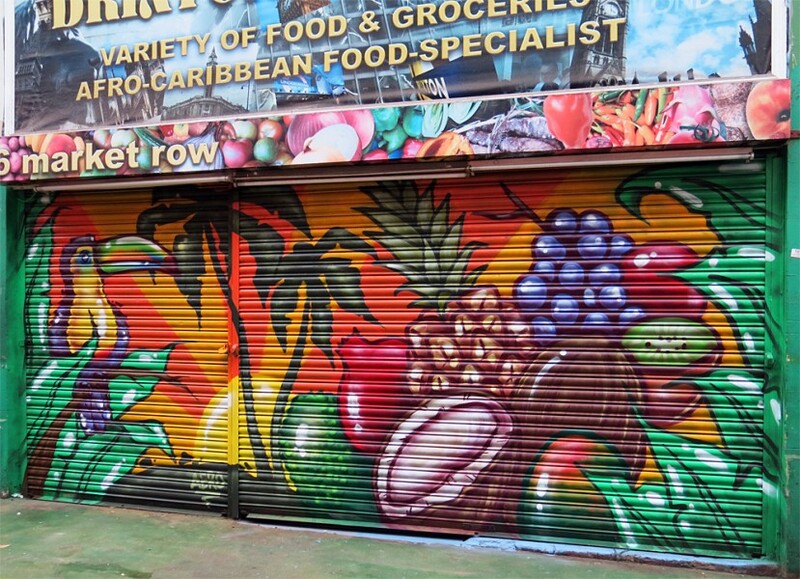 This summer i have painted a few shutters around the Brixton area you can find them on Brixton hill, Water lane, Brixton village market and in Market Row. 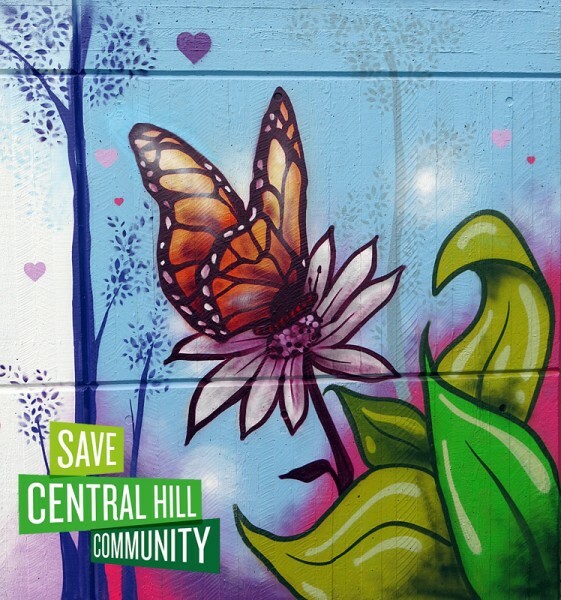 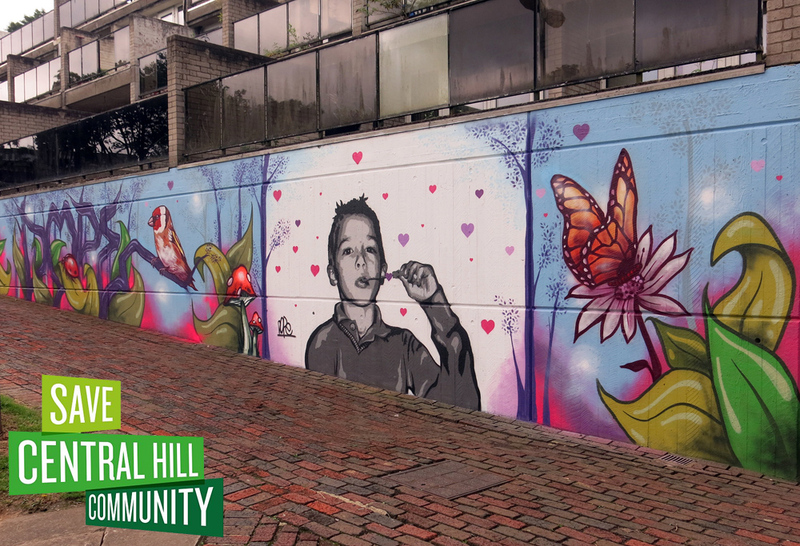 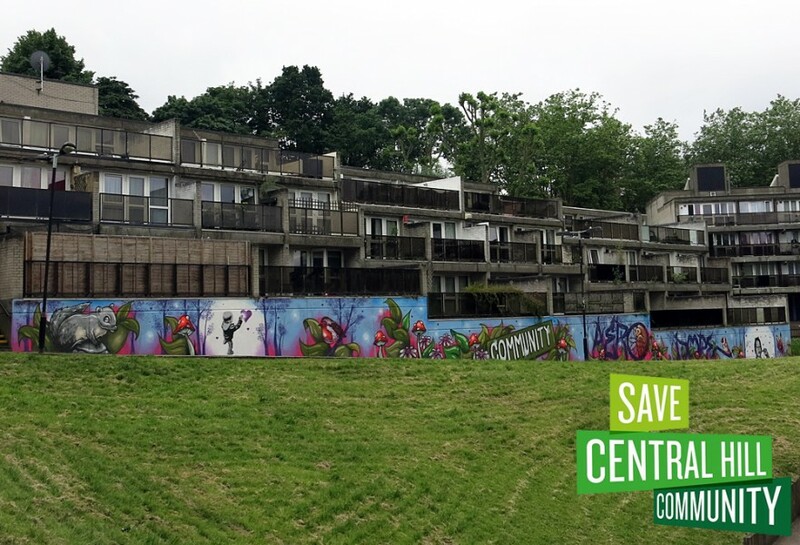 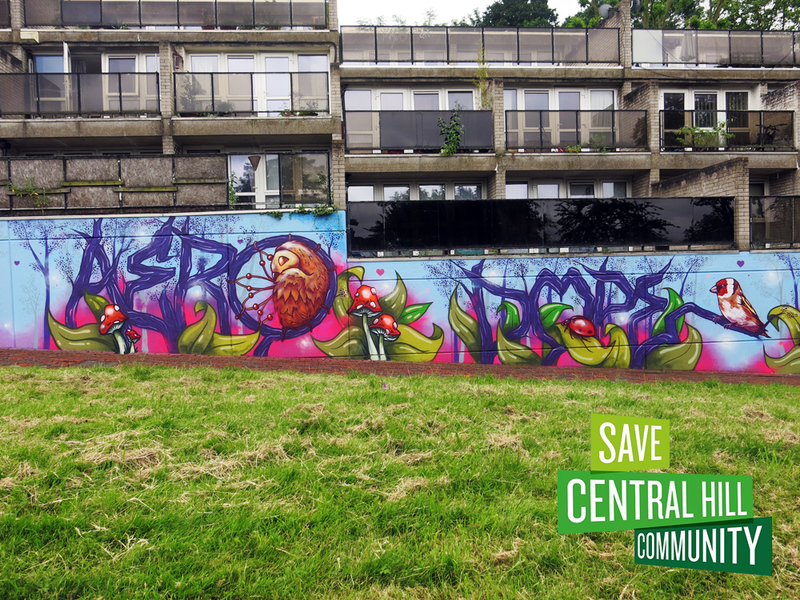 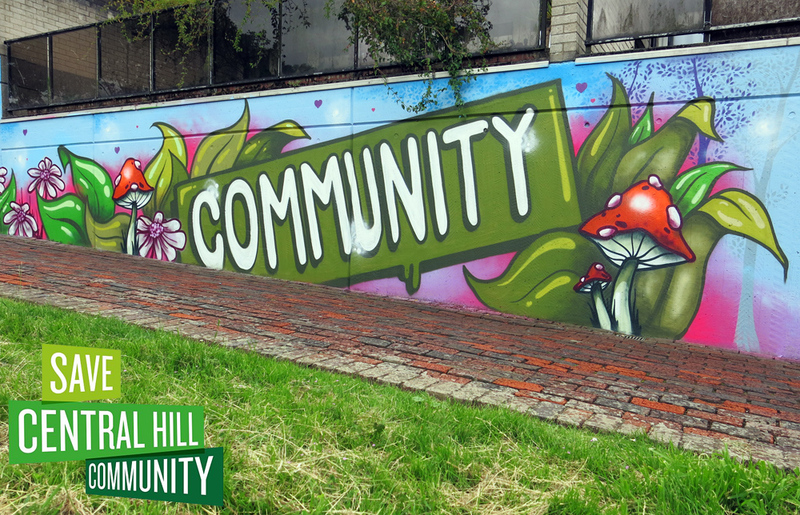 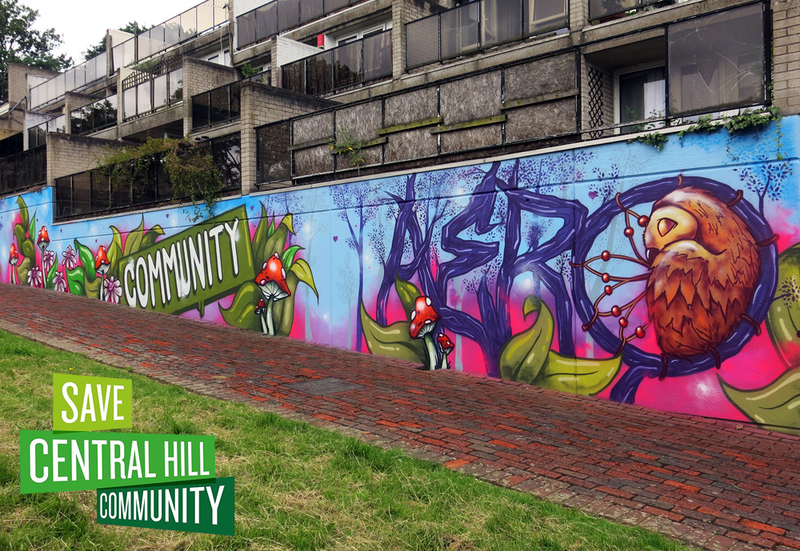 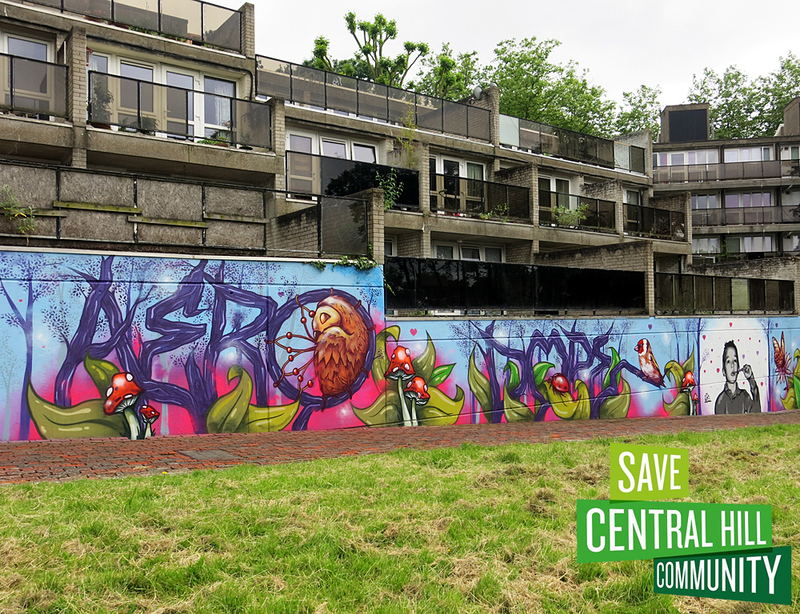 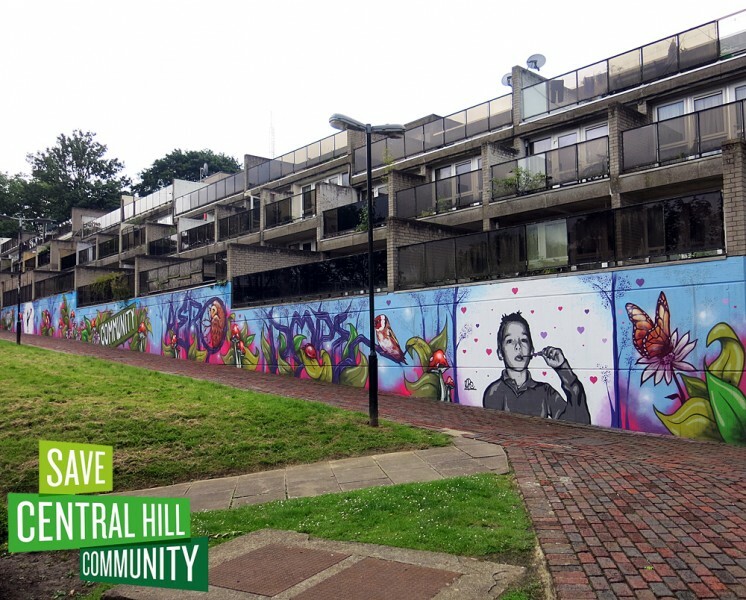 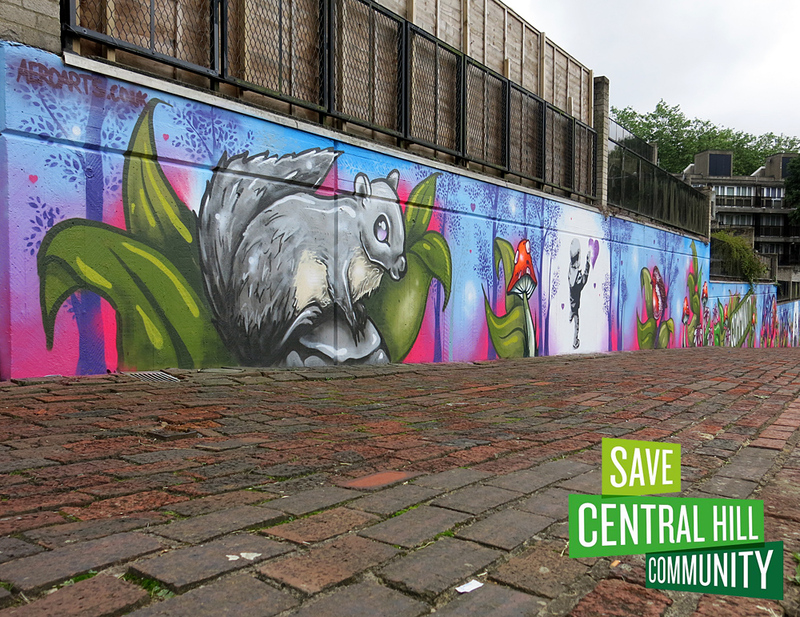 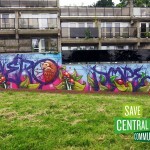 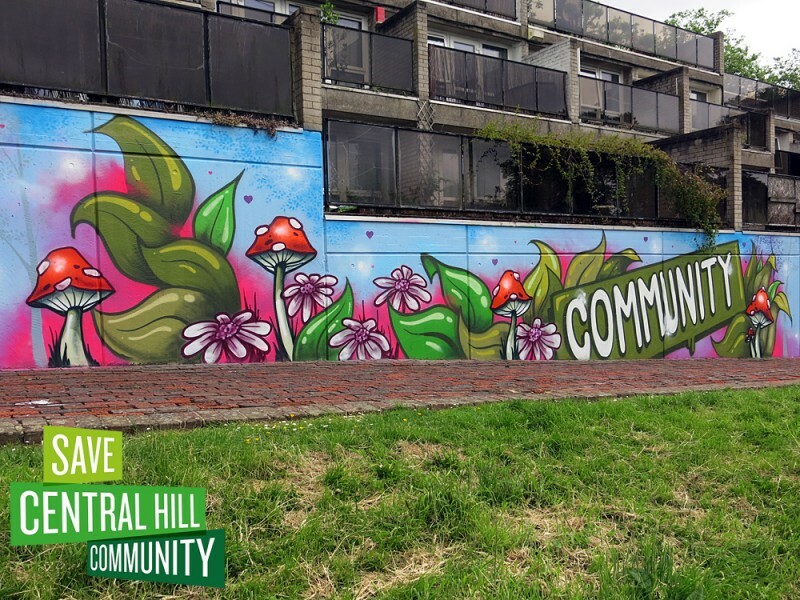 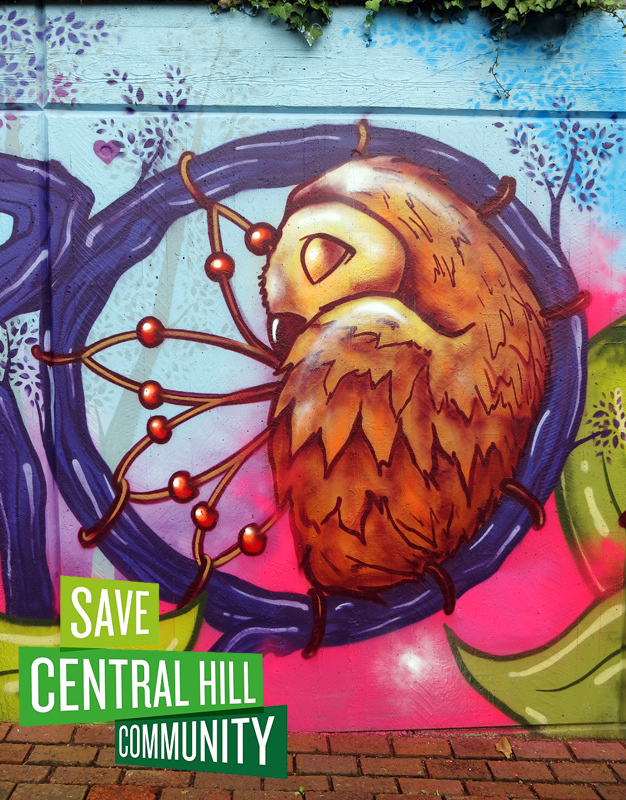 A big thanks to all involved at save central hill community (crystal palace) for arranging the mural to be painted it has been a pleasure meeting and talking to you all, having to work around the weather we managed to get the wall completed in 2 very long days painting until dusk. 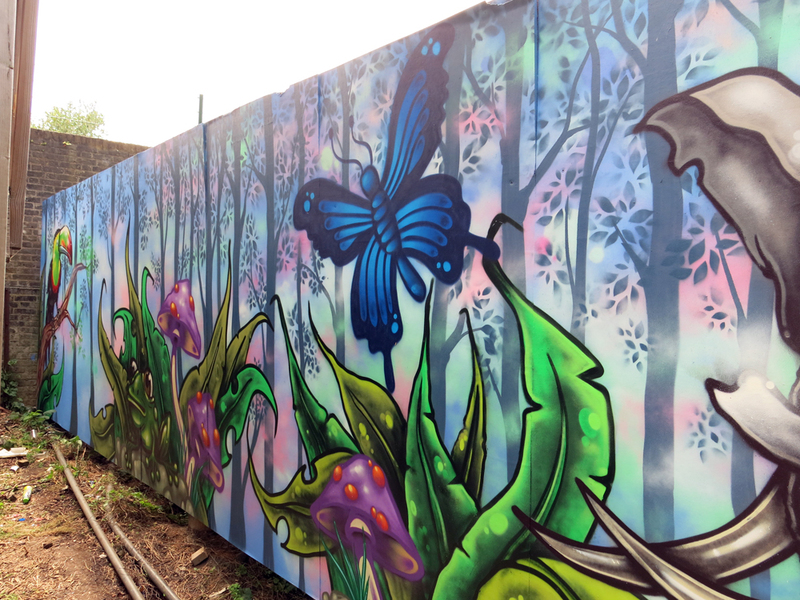 the feedback and reaction from passers by has been great especially from the children and young people with lots of positive comments. 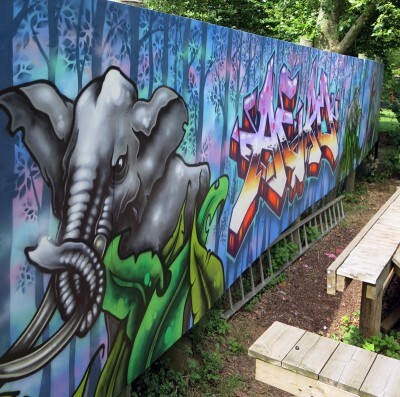 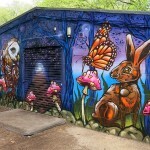 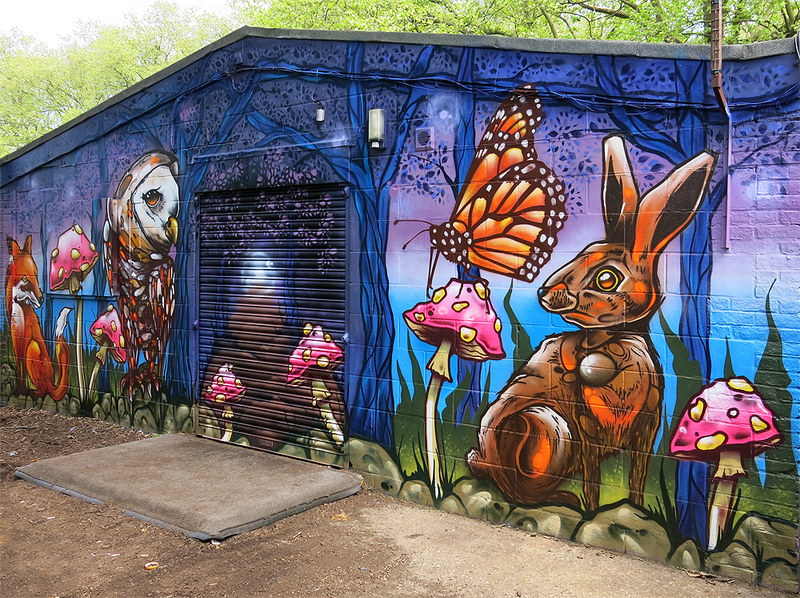 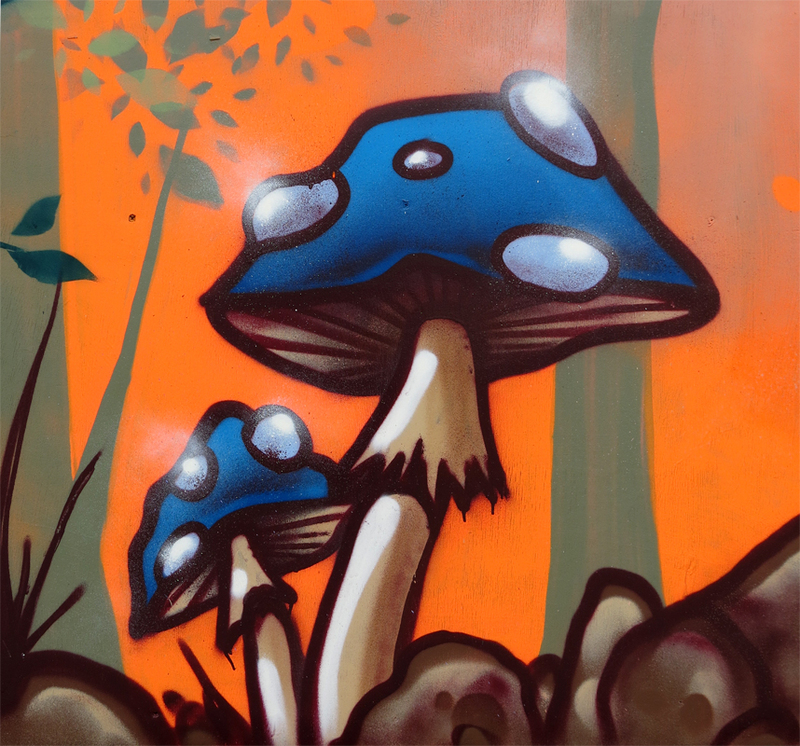 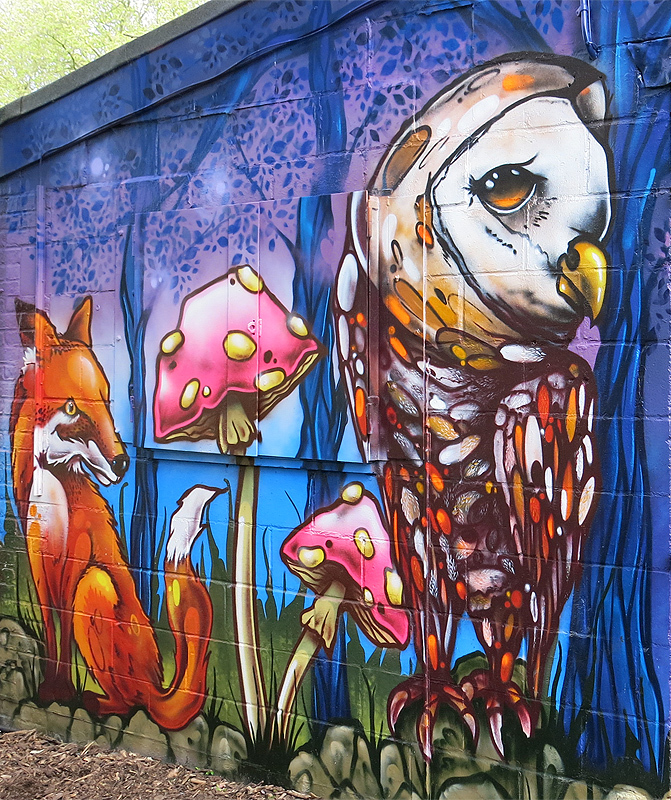 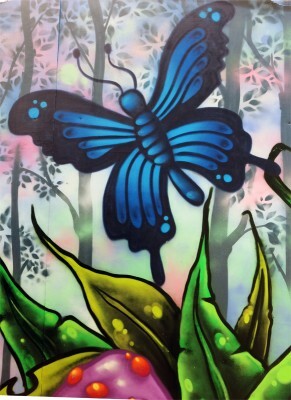 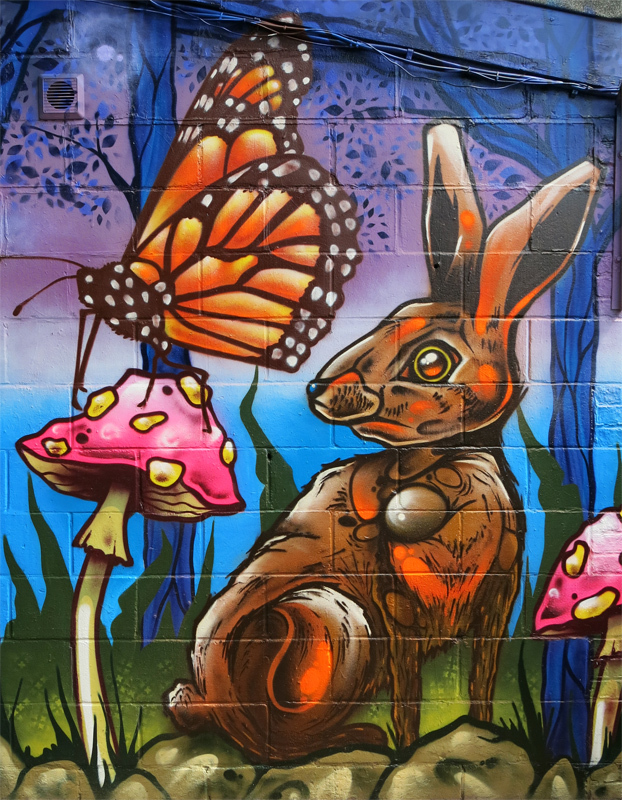 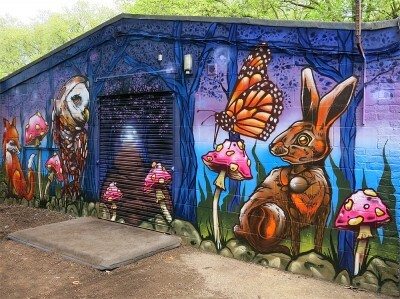 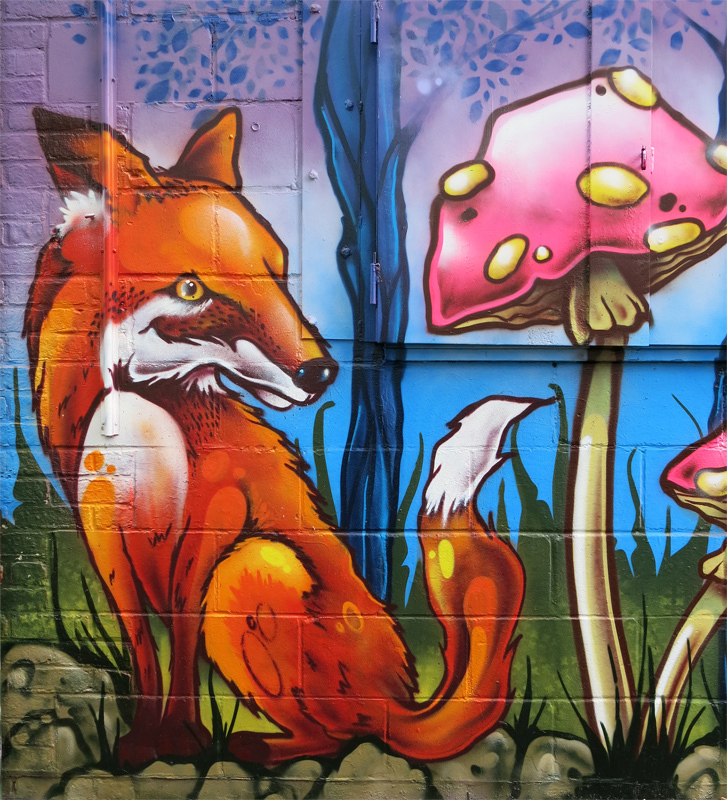 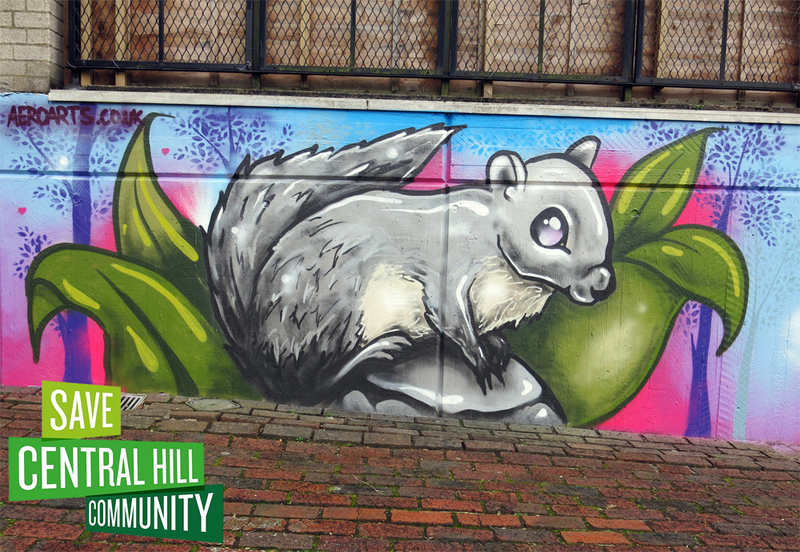 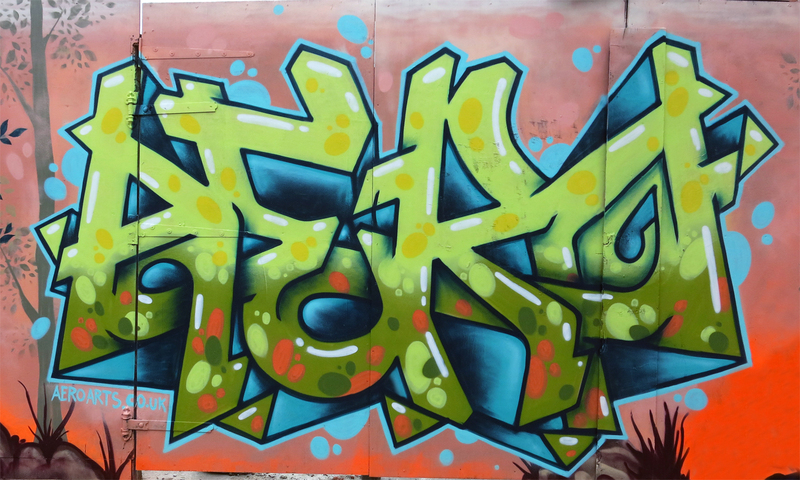 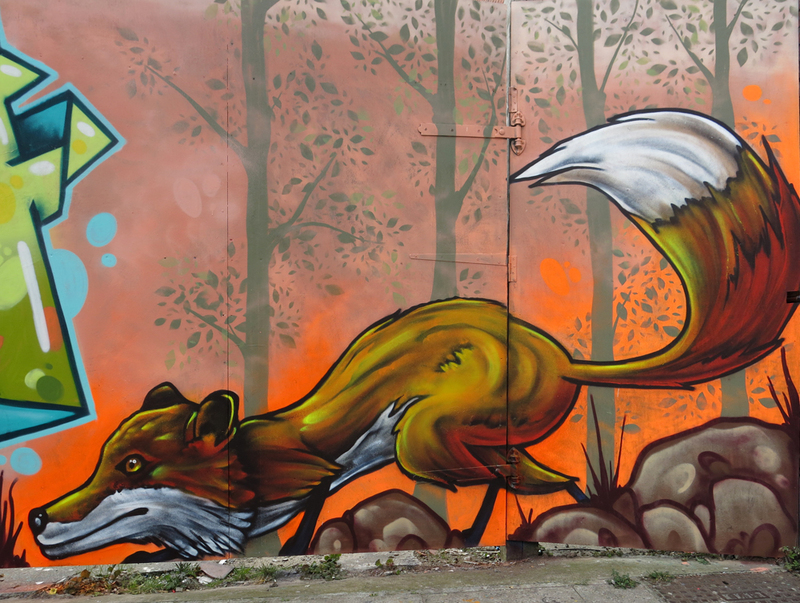 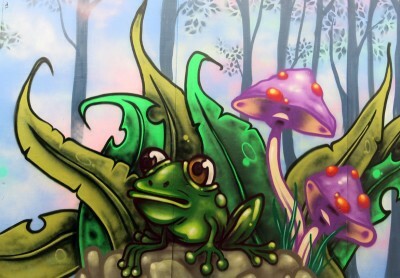 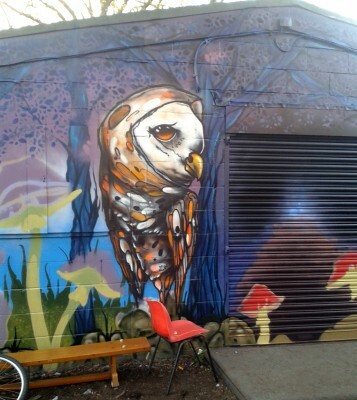 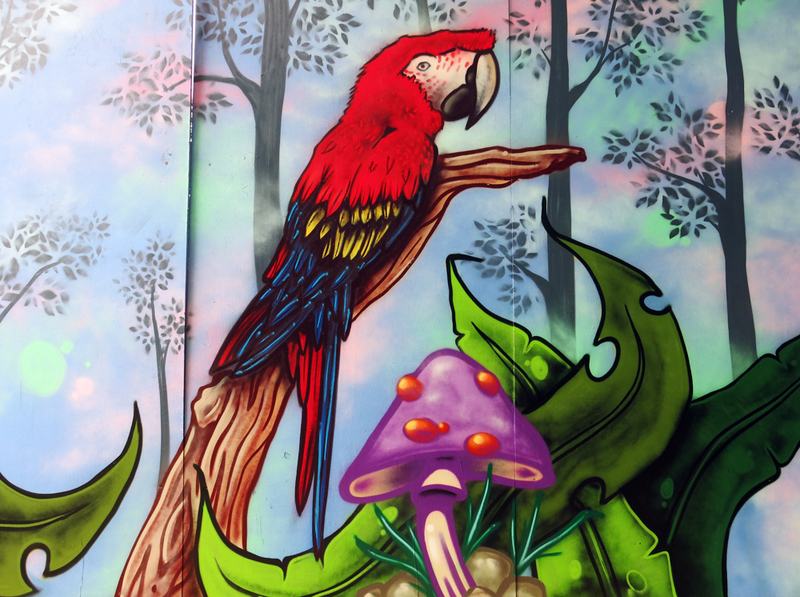 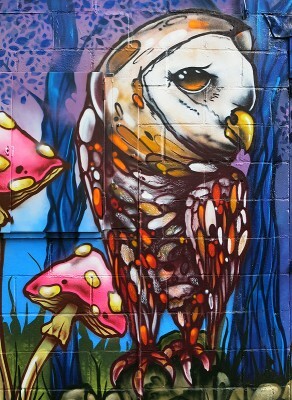 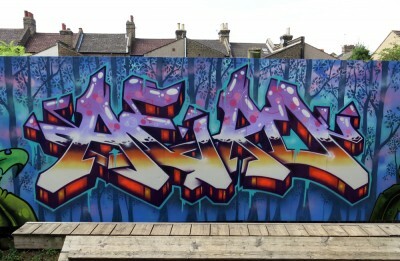 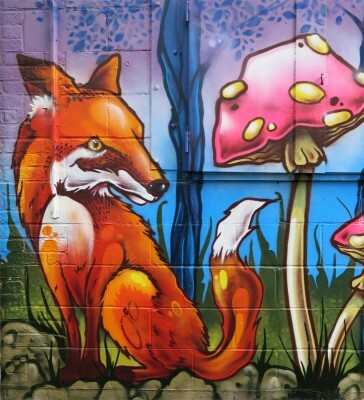 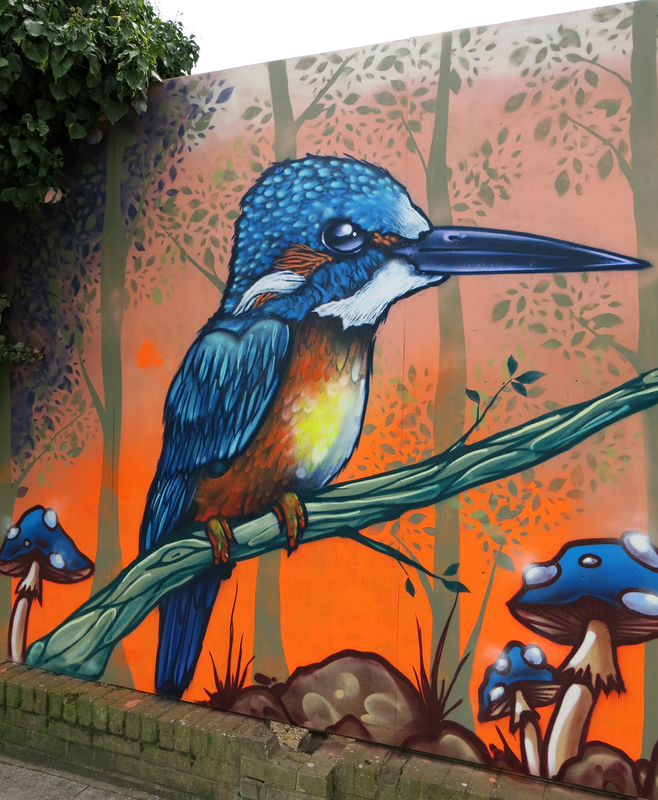 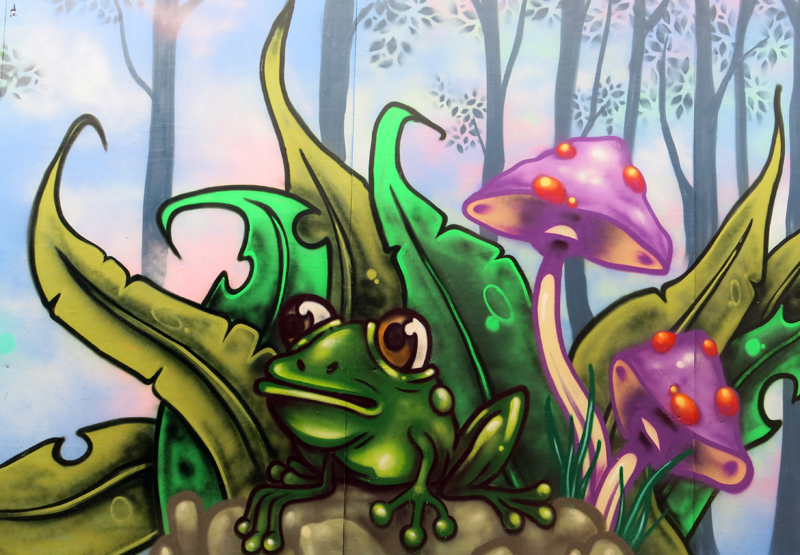 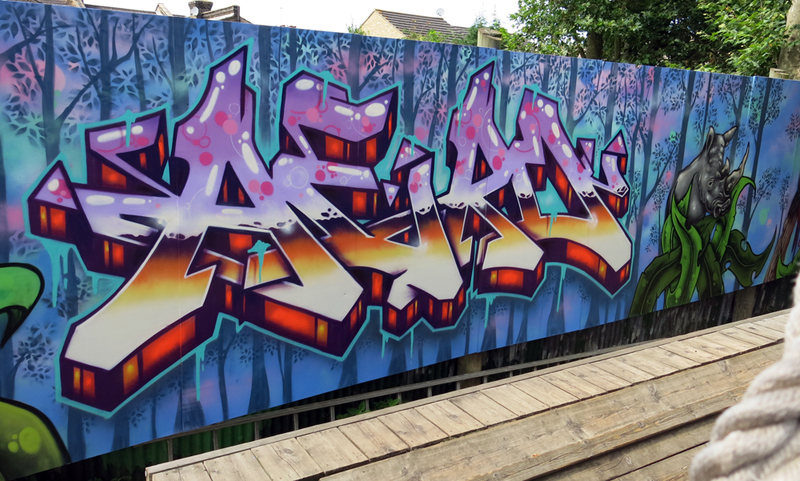 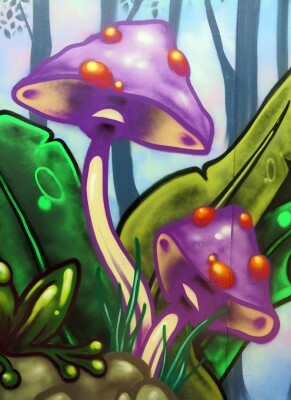 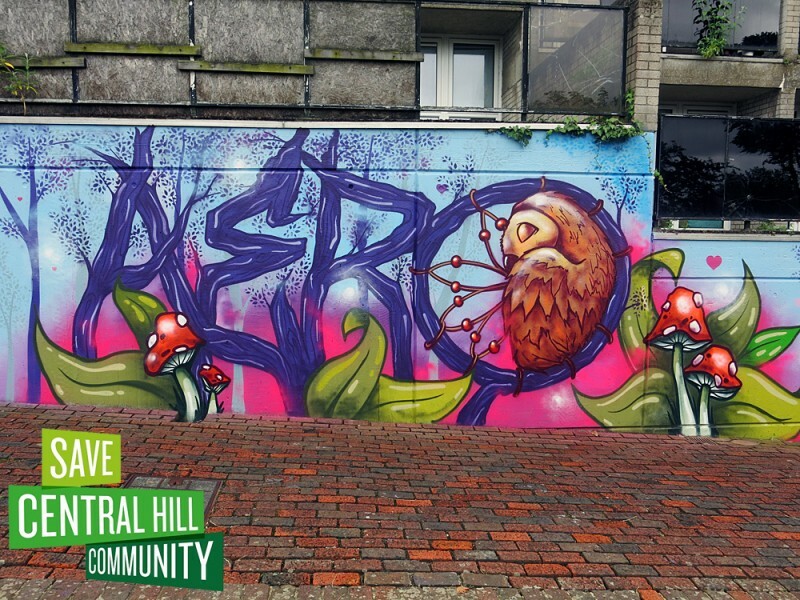 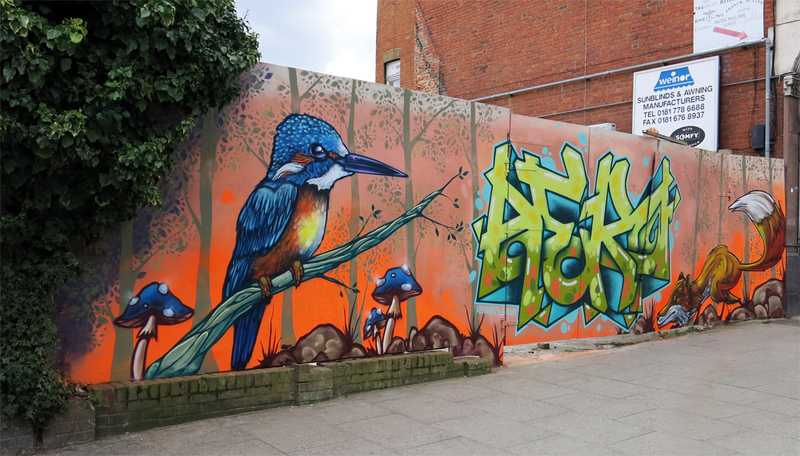 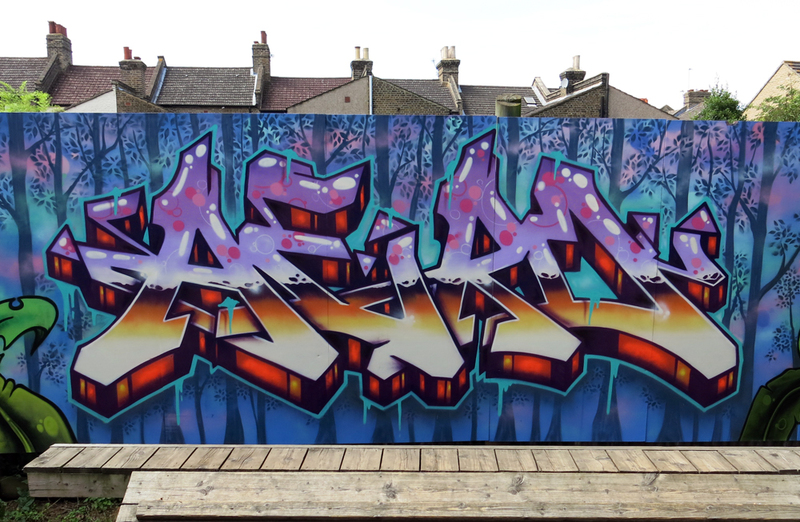 Over the course of 4 days spread over three weeks Aero gave up his free time to paint this enchanted themed mural at HomePark Aadventure Playground. 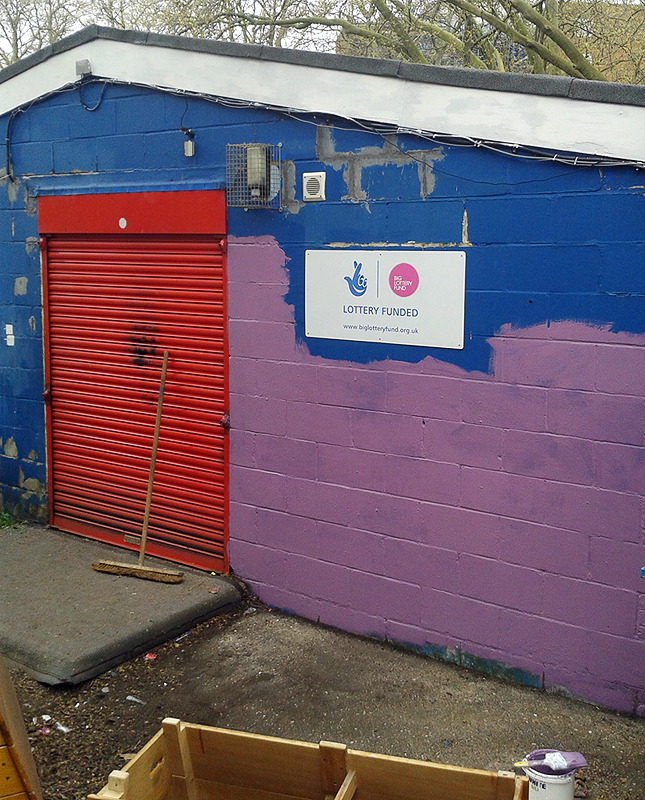 The buildings entrance was looking in a bad way with flaking paint and visible repairs on show, with the space in need of colour and life to make the entrance more welcoming for it’s young users. 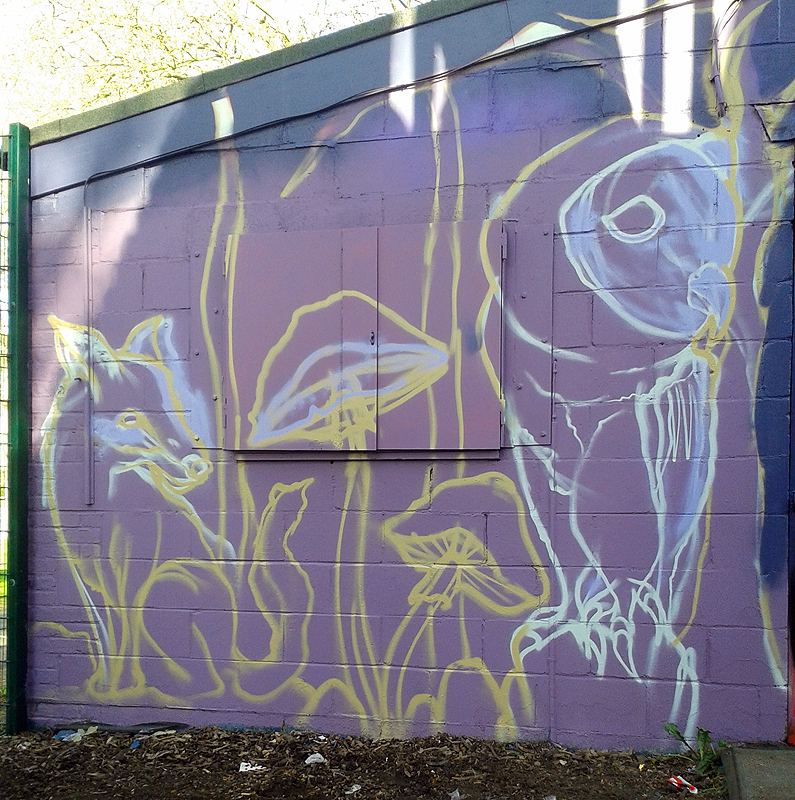 Preparation work began the start of April removing old paint making brickwork and wood areas sound and ready for a base colour to be applied marked out the design worked on the background trees and shutter and finally painted the mushrooms and animals. 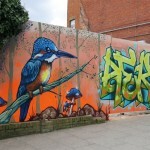 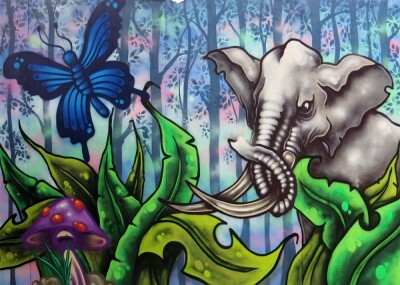 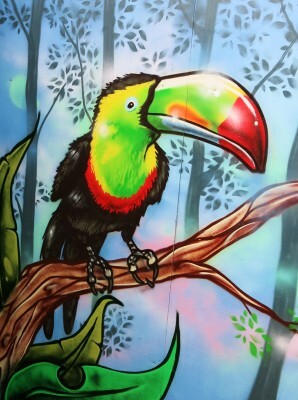 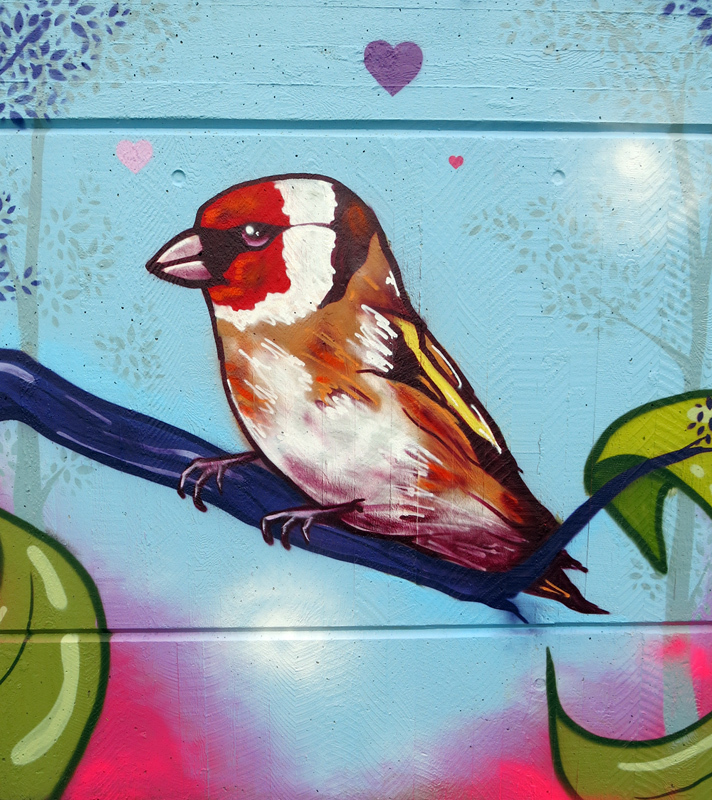 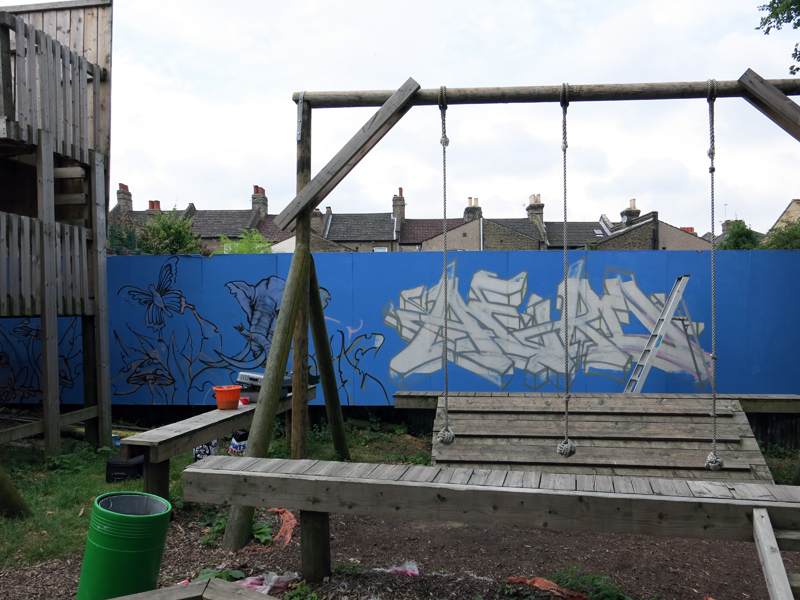 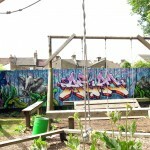 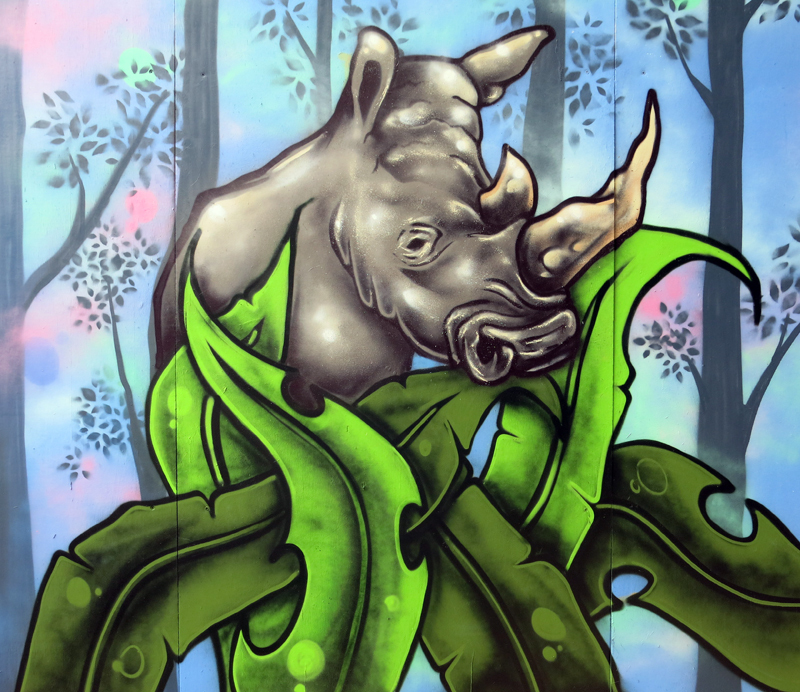 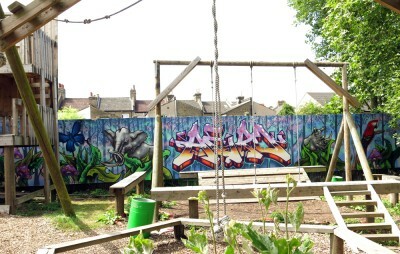 The back board’s at Homepark adventure playground mural in Sydenham got painted with a graffiti inspired wildlife theme. 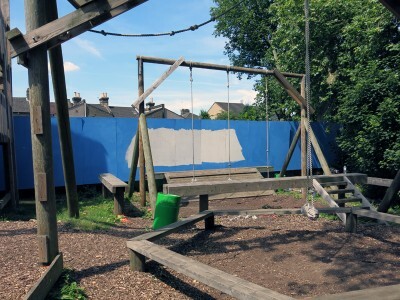 The wall was original built over 10 years ago but due to new building rules for Lewisham adventure playgrounds the site was left empty for 8 years, the reason being that all new adventure playgrounds had to be built to strict and planning guidelines after along wait HPAP finally got rebuilt but not long after reopening it suffered a major set back when the playground was attacked in the London riots of 2011 with 60% of the wooden structure destroyed by fire, but the staff and young people of Homepark with lottery funding rebuilt the playground for a second time. 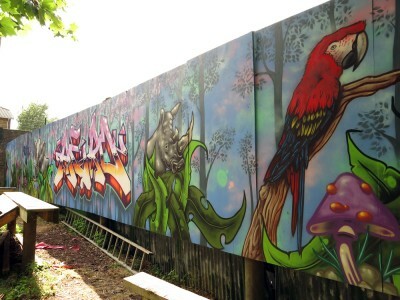 below are the photos of the wall painted in the summer of 2014.